LIBERAL, Kan. – The No. 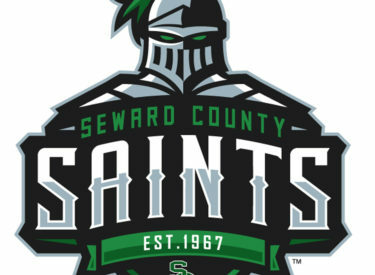 11 Seward County volleyball team won their third straight match from a sweep, defeating the Dodge City Conquistadors in straight sets, 25-14, 25-11, 25-17. Seward moves to 21-5 overall, while staying a perfect 10-0 in Jayhawk Conference play. After a tight start to the first set, Giovanna Tapigliani came up with back-to-back kills as the Lady Saint took a 7-4 lead. The Conquistadors fought back to cut the Seward lead to one at 13-12, but a 7-0 run by the Lady Saints forced two timeouts by Dodge City. The timeouts came too late as the Lady Saints went on to win the first set 25-14. The momentum from the first set carried over to the second as the Lady Saints began on a 10-1 run. Seward’s lead quickly ballooned to double-digits as they downed the Conqs in set two 25-11. The Lady Saints hit .579 in the second set, coming away with 13 kills in just 19 attempts. After taking a 6-4 lead to begin the first set, the Conqs went on t a 3-0 run to take their first lead of the match. The lead didn’t last long for Dodge City though, as the Lady Saints retook the lead just a few points later, while going scoring seven straight points to go up 14-8 to force a Conqs timeout. Seward continued to pour it on the Conqs, winning the third set 25-17 to complete the sweep. Seward finished with 34 kills on the match, led by Tapigliani’s 11. Eight Lady Saints finished with at least one kill. Djuly Schmorantz (6 kills), Luz Sierra (7 kills) and Dorianne Lebron (5 kills) each finished with at least five kills. Celenia De Leon ad Laura De Pra split time setting, finishing with 13 assists and 15 assists, respectively. Defensivley, the Lady Saints came away with eight blocks, led by Lebron’s four. Seven Lady Saints came away with at least one block. Schmorantz led the Lady Saints with ten digs. Seward will be back in the Greenhouse on Wednesday (Oct. 10) at 6:30 p.m. when they host the Barton Cougars for a Jayhawk West matchup.